Soft Sonic PDF Creator is a software to create professional PDF documents in Windows system. It is simple to use interface with value added features like batch conversion, watermarking, PDF merging and splitting & more. Soft Sonic PDF Creator 3.0. This all new version adds a new GUI that improves usability and functionality when performing certain PDF tasks. Users can create encrypt PDF documents using Soft sonic PDF creator. 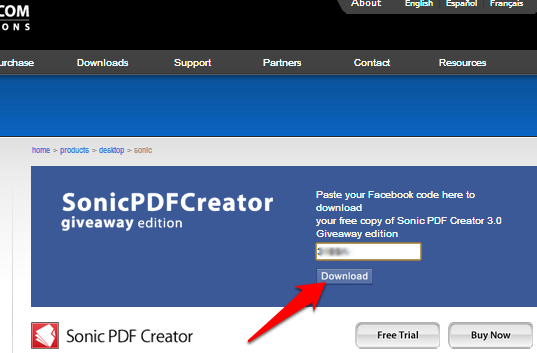 Now Soft Sonic PDF creator announcing free promotional offer. 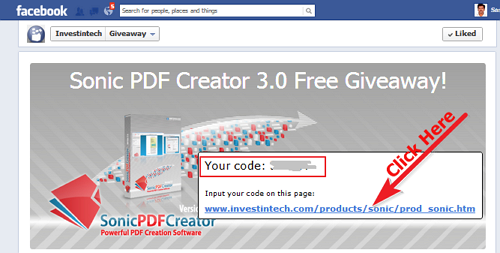 As per this offer users can get Soft sonic PDF creator 3.0 full version for free without any cost. Original cost is US $50. Paste your code in specified column and hit download button. Soft Sonic PDF creator 3.0 start to download, after download completed install it to your PC and use Soft Sonic PDF Creator 3.0 for free with useful features.